Buy the worst home in the best street – sometimes this takes years to find but you could be lucky. Buying a home with good bones – in one of the cheaper streets in the suburb follows on from this truism. We are going to focus on a 30 year old couple who want to upgrade from their first home. They have selected a suburb after comparing median prices on reiwa.com.au. Forced appreciation occurs when you increase the value of your home by renovating. So buying the correct property is paramount. The strategy will be to buy a home with land, where the house component of the overall purchase price is 10% to 30% of the overall price. We are not buying a knock over but a home with good bones that can be renovated. Why have we focused on a house with land? Apartments and units have a narrower price band so it is easier to overcapitalise. 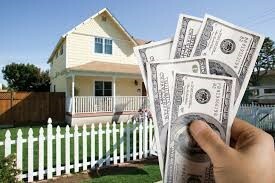 The margins between buying a selling are probably much smaller and you still have to cover buying and selling costs. In Wembley this could mean purchasing a home in Harborne Street. They have great post war character homes with good bones. We see young couples move into Wembley and renovate a Harborne Street property. A few years later and after lots of hard work they can upgrade into a more expensive street and start the process again with little change over price. Buying and selling locally is less risky as you will know your suburb, the good spots and the not so good spots. Local knowledge is great! We don’t want to overcapitalise so make sure you don’t create the most expensive home in the cheapest street. Oops! So before you start check out the median price on reiwa.com.au for your selected suburb. We can provide more detailed sales evidence for a particular street and advice on the accommodation you will need to get the best return.